A recipe that uses stale bread has a special place in my heart. With fall, I am thinking comfort foods again. 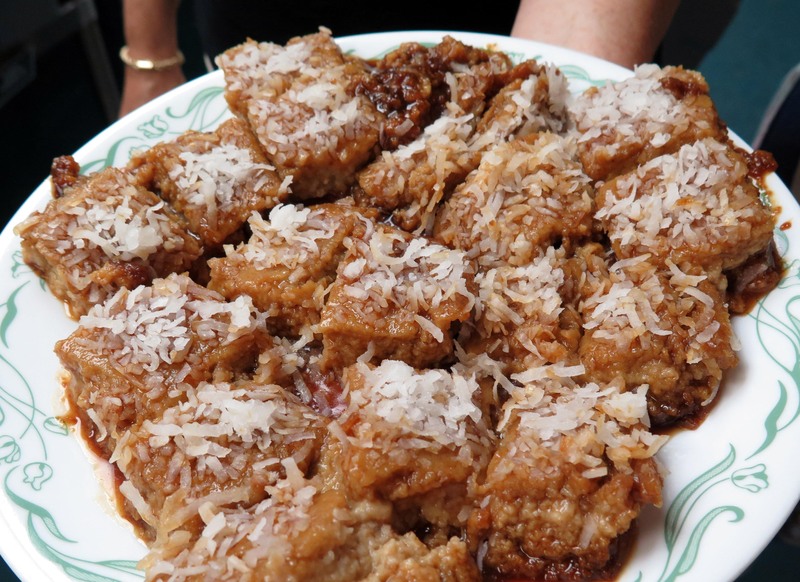 One of my favorites is my mom’s delicious bread pudding with raisins, coconut, and/or fruits she feels like or have at hand. 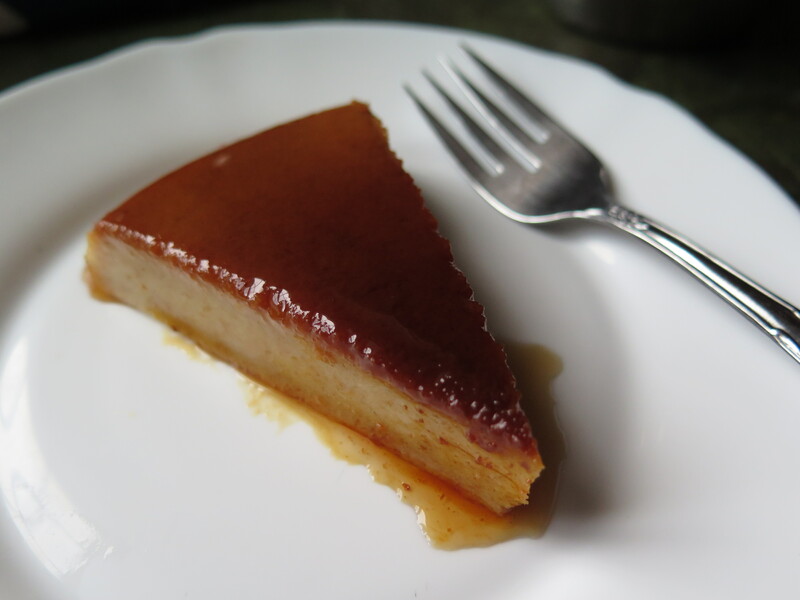 In Brazil, it is called “Pudim de Pão”. Bread Pudding is one of my answers to “what to do with old bread?” Certainly do not compost yet! This recipe is nice because you can freeze the old bread for later; keep it soaking in the fridge for a couple days until you are ready to bake or even freeze the batter or freeze the baked bread pudding and eat within a month. For the Pudim de Pão recipe, I started with my mom’s recipe and modified so I can make for my family of 4 or as I did last month, 100 plus servings for people at events like Story Harvest and Oakwood Community Center Soul Cafe in Troy, NY. 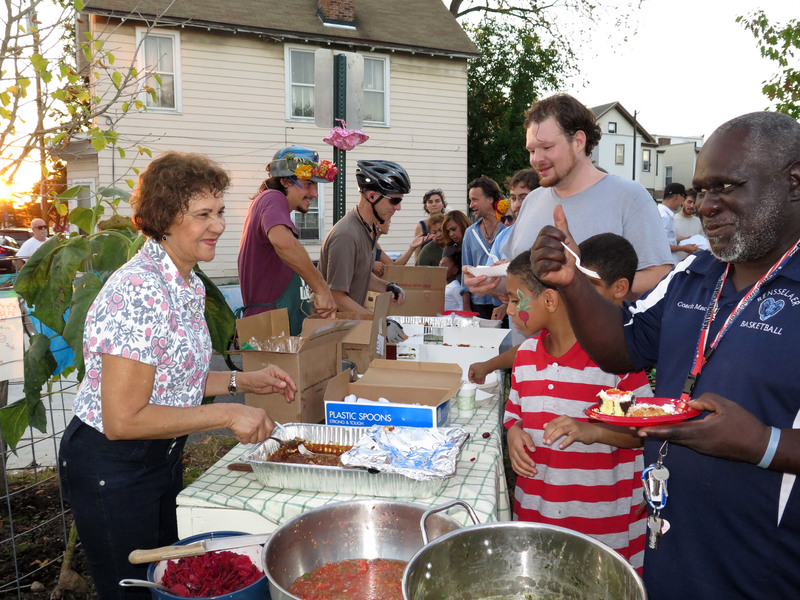 I love the see food being used to build community. Thank you Placid Baker for donating the day old bread to both events. Bread Pudding is one of those recipes that I have tasted while visiting or living in several countries. Historians say Bread Pudding dates back to 11th century . If you have bread, milk and eggs… so please do not toss those old leftover pieces of bread. Do you have a favorite bread pudim recipe? Mom serving bread pudding during Story Harvest 2014 at the Sanctuary for Independent Media. Soak break in milk 3 to 4 hours. Heat oven on broiler. Add 1/2 cup sugar to an oven safe dish you will use to bake the bread pudim. Let is caramelize, sugar will melt and until liquefied and golden in color (about 10 minutes). Watch here as it burns very fast. Meanwhile, mix 1/2 cup sugar, 2 eggs, milk and bread in the blender for one minute. Pour mixture into prepared, caramelized dish. Place the pie plate in to the roasting pan and pour hot water into a roasting pan. The water will be around within 1 inch of top of the pie plate. To serve, run a knife around the pan, carefully invert on serving plate. Serve hot or cold. Keep leftovers refrigerated.